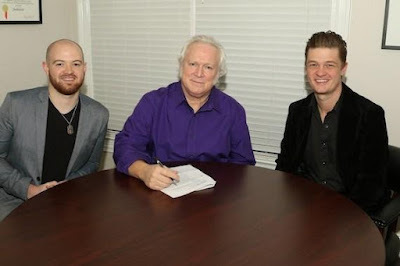 Country and Gospel chart-topper, T. Graham Brown, has signed a booking agreement with the Nashville based, ArtistLive Agency. The CMA award-winning singer’s management team will work closely with ArtistLive Agency’s president, Deric Brown for future shows and appearances. Brown has become a staple in country music, charting 14 Top 40 Country singles, while making regular appearances on the Grand Ole Opry, where he recently celebrated his 200th appearance. Upcoming tour dates will be in support of Brown’s critically acclaimed, Grammy-nominated project, Forever Changed. The collection was produced by Brown and Mark Carman. It features collaborations with some of T. Graham's closest friends, including Vince Gill, The Oak Ridge Boys, Jimmy Fortune, Sonya Isaacs, Leon Russell, Steve Cropper, Jeff & Sheri Easter, The Booth Brothers, and Three Bridges. The album marked a triumphant return to the studio for Brown, after a 9 year hiatus. It was met with great critical acclaim from the music industry, critics and fans, securing features on CMT, Billboard, NASH Country Daily and many more. Brown also had a busy fourth quarter in 2016 promoting his holiday project Christmas with T. Graham Brown. In addition to being sold at Cracker Barrel Old Country Store locations nationwide, the hit maker pulled out all the stops, including his very own Christmas special on SiriusXM’s Prime Country, along with a large handful of interviews.